Suicide Bomb Attacks On Iraqi Shiite Pilgrims Martyrs 16 , Dozens Injured. 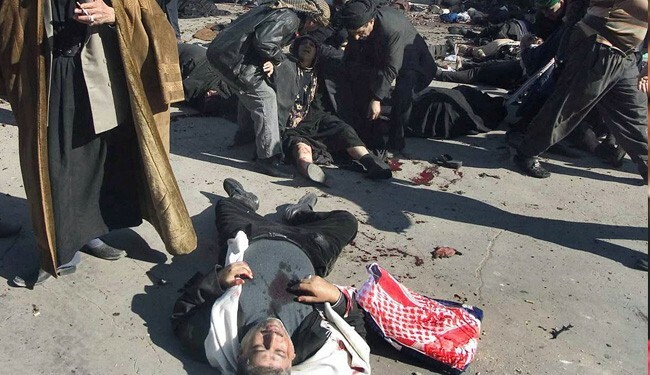 JNN 23 May 2014 Baghdad : Two suicide bombings targeting Shiite pilgrims in Baghdad killed at least 16 people and wounded dozens more Thursday despite a heavy security deployment, Iraqi security and medical officials said. The evening attacks struck in Mansur, west Baghdad, and Baab al-Sharji, in the center, as worshippers prepared to commemorate the martyrdom anniversary of Lady Zainab bint-e-Ali(a.s.) revered figure in Islam. The bombing in Mansur killed eight people and wounded 26 others, according to a police colonel and a medical source. The attacker was dressed in an all-black women’s robe, or abaya, apparently to avoid attention, according to the capital’s security spokesman, Brigadier General Saad Maan. Another suicide attacker detonated a car bomb in Baab al-Sharji, central Baghdad, killing three more, while a vehicle rigged with explosives in the northern neighbourhood of Urr left five dead. 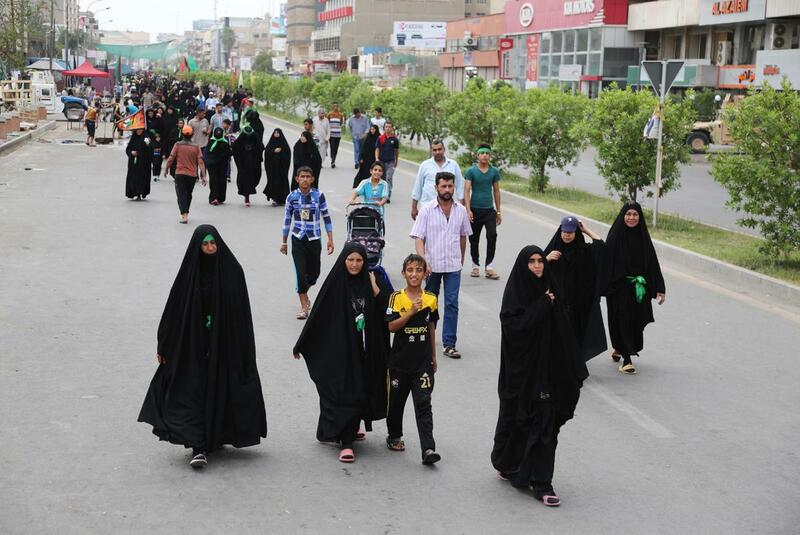 The worshippers were walking to the northern neighborhood of Kadhimiyah, site of a shrine dedicated to Imam Musa Kadhim (PBUH), the seventh of 12 revered imams in Shiite Islam. The two-day rituals marking the anniversary of his martyrdom in 799 AD are due to climax on Saturday and Sunday. Shiite pilgrims are often targeted by foreign backed takfiri militants. Due to the heightened threat of attack, the authorities have imposed heavy security measures on the capital, involving the closure of entire roads and barring certain vehicles from the streets. The blasts are the latest in a protracted surge of nationwide bloodshed that has left more than 3,600 people dead this year, fuelling fears Iraq is slipping back into the same terrorism , bloodshed that blighted the country in 2006 and 2007. The authorities blame external factors such as the civil war in neighbouring Syria for the unrest, and say that wide-ranging operations targeting militants are having an impact. But the daily bloodshed has continued unabated, and analysts say the Shiite-led government must do more , Just like Bashaar Al Asaad forces , who have confronted the terrorist with a Iron Hand , and due to which now the escalation in the terrorism has been put to an end , while Major areas have been recaptured and the terrorist are on the retreat , and dozens have even surrendered to the Asaad forces. The latest attacks come as Iraq’s political parties jostle to build alliances and form a government following elections last month that left incumbent Prime Minister Nuri al-Maliki in the driver’s seat to remain in office for a third term. This entry was posted in Iraq News, Middle East and tagged Baab al-Sharji, Baghdad, female suicide bomber, heavy security, Imam Musa Kadhim, Iraq, Martyred, Shia Pilgrims, Shiite, shiite islam, Shiite pilgrims. Bookmark the permalink. Pingback: VELAYAT TV USA – Suicide Bomb Attacks On Iraqi Shiite Pilgrims Martyrs 16 , Dozens Injured.